RIT Venture Creations graduate Token will receive up to $1.75 million through the New York State Innovation Venture Capital Fund. A 2017 graduate of Rochester Institute of Technology’s Venture Creations technology business incubator is the recipient of a major investment from Empire State Development. Token, an identity technology start-up founded by RIT alumni Melanie and Steve Shapiro, will receive up to $1.75 million through the New York State Innovation Venture Capital Fund. Token is based at Venture Creations on Tech Park Drive in Rochester, N.Y. 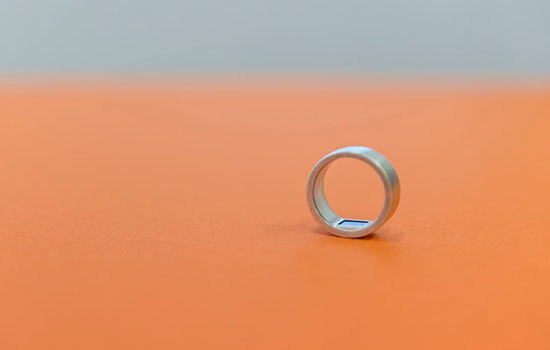 Through local partners, Token manufactures the biometric, encrypted, wearable device that offers a combination of convenience and security, via its unique two-factor authentication. Its companion software platform allows the Token ring to be integrated into various identity applications, including computer logins, mobile payments, transit cards, and “smart” locks for home and auto. The company has sold out its initial preproduction run. The product will be available later this year. Shapiro and company co-founder and chief technology officer Steve Shapiro ’04, ’06 (information technology, MBA) also co-founded Digsby, a messaging platform for managing online social identities, which launched from Venture Creations and was acquired in 2011. RIT President David Munson thanked New York state for its investment. Since opening in 2003, RIT’s Venture Creations has graduated 38 companies, of which 12 have been clean-energy companies. Collectively, these companies have created 499 jobs and raised more than $70 million in private capital.